In the latest in our independent designer series, Purl Alpaca Designs’ Kari-Helene talked to us about the importance of designing beautiful garments that are both interesting to knit and flattering to wear. The team from Purl Alpaca Designs are also exclusively offering LoveKnitting customers the chance to download one of their bestsellers – the elegant Florence Cowl – absolutely free until Friday 12th December 2015. To find out more about how you can get your hands on your free knitting pattern click here. Hello and thank you! We at Purl Alpaca Designs are very excited to be included in the LoveKnitting family! I am a 34 year old Norwegian living and working in Brighton. I lived in London for nearly 12 years but having grown up by the sea I found I longed for the fresh ocean breeze and recently relocated. I prefer knitting to crochet, I’d rather drink coffee than tea, I have a knack for finding random furniture on the street and I love chocolate. A random fact about me: I play Ultimate frisbee. My mother and grandmother taught me to knit when I was about 6 years old and I made little things for my dolls. In Norway both boys and girls have to do knitting in school, and I made a purple headband for my dad at the age of 10. Over the years I started many projects but finished few. Amongst the finished ones was a turquoise jumper for my newborn nephew in chenille yarn. My sister has a photo of him wearing it to use as blackmail in the future. The very first collection I did was called the Flowerfields collection. It consisted of six patterns and launched at Alexandra Palace in 2008. It was a very lightweight collection and showcased how alpaca can be worn all year round. Some of the patterns from this collection are still best sellers today! Each of our collections has a different source of inspiration. I find inspiration in many things, but a common thread (no pun intended) is stitches. I love to experiment with different stitches and with manipulating shapes using yarn and needles alone. I think it is very important that a garment is interesting for the knitter to make and to wear. I enjoy thinking about a garment in three dimensions to make sure it is flattering and interesting from all angles. The Icon dress is certainly the pattern that has drawn the most attention. When we launched the Waterways Collection in 2012 there were not many knitted dresses on the market and certainly not many that were flattering! I also think the dress got a lot of attention due to the fact the model looked like she was levitating on the pattern cover photo! At the photoshoot she was wearing blue tights and we happened to walk past a bright blue fountain. We thought this would be a great backdrop for the picture not realising that her legs would become practically invisible in the final photo! But hey, all PR is good PR, right? When I studied fashion design I never thought I would end up doing so much maths on a daily basis. My calculator is my best friend. I also need a pen and paper, graph paper, ruler and my knitting samples. Other essentials include coffee/red wine, chocolate, my favourite chair and a good movie! I don’t. I was very clear from the first day of working with our handknit collections that I wanted to do professional photo shoots. This includes hiring a professional photographer, hair and makeup artist and model. It is not cheap, but I strongly believe it is a price worth paying. We have used the photographer Tiffany Mumford for all our shoots, bar the very first, and really enjoy working with her! I do the styling and direction on the day myself. Do your research! I spent a year preparing before we launched our first collection. Learn about fit. Research how other people write patterns. Talk to other people who have done it before you. There is so much to learn about knitting and although it is an ancient craft there are constantly new developments. I am learning something new with every collection! Thanks for joining us Kari-Helene! Click here to shop all patterns from Purl Alpaca Designs. Want to sell your patterns on LoveKnitting? Click here to find out more. Last updated: December 8th, 2014. Once again, the link to the “free” pattern takes you to a page where it is for sale. If you are still having problems, please email info@loveknitting.com where our Smiles team will be able to help. Jenni, my first thought was that I needed to be signed in to get the free pattern download, but doing that still didn’t work. None of the links in this post or on the pattern page direct to a pdf download. I’ve just downloaded this free cowl pattern without any snags. I was signed in before I started reading the Blog page, and I don’t know whether that helped, but suspect it did, as I’ve had more problems previously when I’ve tried signing in part way through. Anyway, thanks for the pattern; as well as the leaf pattern, the rib looks interesting too. Quite agree that patterns need to be interesting for the knitter as well as to produce a lovely garment. Thanks so much for the beautiful pattern. I had no trouble downloading it and am now anxious to get started knitting it. No problems downloading. Love all the patterns especially the child’s dress and the icon dress is something else. And yes I’m going to cheat because I have a wonderful grey alpaca fleece to spin up for a project just like this. @ author Jenni- I’m trying not to be envious of you, getting to interview knitting designers and writing for Love Knitting! Thank you so much for this interview and giving us more of a sense of the person behind the designs. I’ve only just started doing some basic designing myself, and I love reading about how other knitwear designers find their inspiration and how they got into this craft. So much diversity, in both areas! Thank you for your blog contribution. I’m so glad that I found Love Knitting! Thank you for your lovely comments! We’re so glad you enjoyed reading the article. It certainly is wonderful to be able to speak to such talented designers. It’s great that you’ve started designing for yourself, once you feel confident with a pattern you should submit it to LoveKnitting designers! 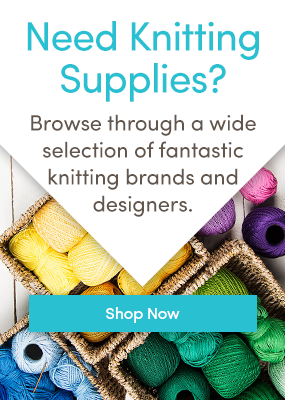 Welcome to LoveKnitting! I have also been able to download the cowl pattern with ease, and like one of the other commentators I was logged in so that must be the trick. Rather annoying as I’ve just paid for this pattern @ show & the same thing happened when I purchased ” coco hat pattern” it became free in a magazine!! Tend to buy these unusual patterns & I’m prepared to pay a little more than other patterns!! But then they give them away free!! Seems like it’s cheapening the brand!! & no loyalty for their clients!! I’m very sorry you feel this way. This is a limited offer available for five days only, designed to support Purl Alpaca Designs by exposing them to customers that may not have tried their patterns before and who would like to sample their design style. Hopefully people who try this pattern will like it and go on to buy from their range of over 50 designs. They’ll be delighted that you and others have already bought their designs and will be hoping that many more will do so having tried the Florence Cowl.